The Pacific Orchid Exposition is the largest orchid show in the United States. The show features exhibits, AOS & ribbon judging, demonstrations, docent tours, “Plant Doctors”, silent auction, live music, great food, commercial vendors, thousands of beautiful orchids and flowers from all over the world and so much more! The Pacific Orchid Exposition is the largest orchid show in the United States. The theme for the 2018 Exposition is “Curiouser and Curiouser, Orchids in Wonderland.” The theme plays off the story of “Alice in Wonderland,” and the Mad Hatter Tea Party will be the theme for the Gala. 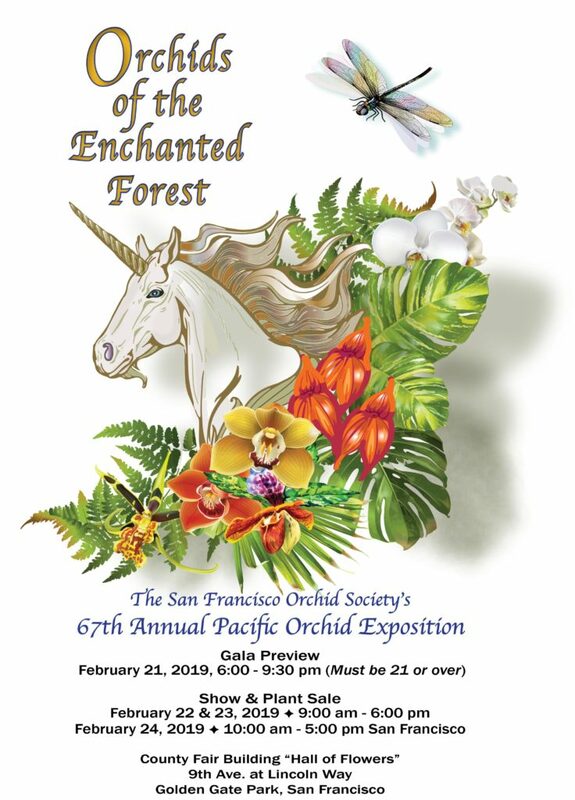 The Pacific Orchid Exposition, the largest orchid show in the United States, is thrilled to announce its expansion to include more gardening delights in a brand new venue. Reflecting this expansion, the annual fundraiser is now aptly titled the Pacific Orchid and Garden Exposition. This year’s show theme is “Big Ideas for Small Gardens” and will have a special a focus on learning about pollination and helping plants thrive in apartments, on windowsills and in city environments. The new show features exhibits, AOS & ribbon judging, demonstrations, docent tours, “Plant Doctors”, silent auction, live music, great food, commercial vendors, thousands of beautiful orchids and flowers from all over the world and so much more! Gather tips on how to maintain the perfect garden while spending the day with your family and friends. You’ll find that the exposition is an ideal outing: this is one show you won’t want to miss! 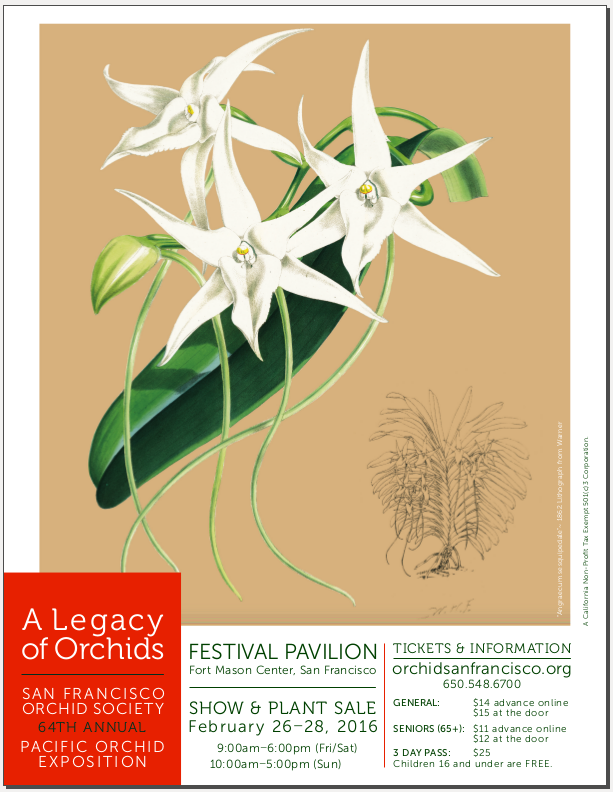 San Francisco Orchid Society’s 64th Annual Pacific Orchid Exposition! The Pacific Orchid Exposition boasts over 150,000 beautiful orchids from around the world and features docent tours, orchid potting demonstrations, cultivation tips and a diverse array of orchids for sale.